With a stay at Hotel Seri Malaysia Seremban in Seremban, you'll be within a 10-minute drive of Palm Mall, Seremban and Terminal One Mall. 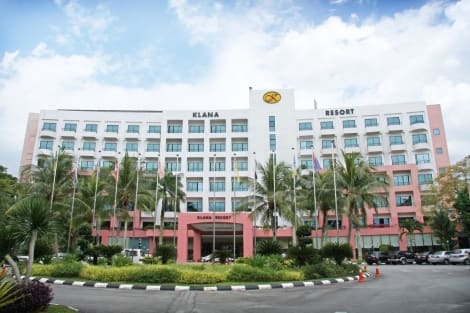 This hotel is 19.2 mi (30.9 km) from Sepang International Circuit and 21 mi (33.8 km) from Bangi Wonderland Waterpark. With a stay at Palm Seremban Hotel in Seremban, you'll be connected to a shopping center, within a 10-minute drive of Palm Mall, Seremban and Terminal One Mall. 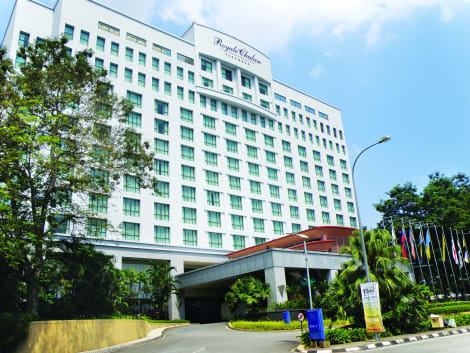 This hotel is 18.1 mi (29.1 km) from Sepang International Circuit and 19.8 mi (31.9 km) from Bangi Wonderland Waterpark. Make yourself at home in one of the 345 air-conditioned rooms featuring minibars and flat-screen televisions. Complimentary wireless Internet access keeps you connected, and satellite programming is available for your entertainment. Private bathrooms with separate bathtubs and showers feature complimentary toiletries and hair dryers. Conveniences include phones, as well as safes and desks. 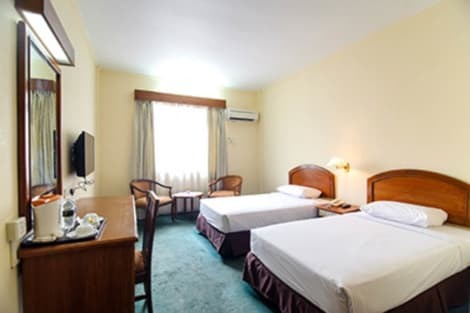 lastminute.com has a fantastic range of hotels in Seremban, with everything from cheap hotels to luxurious five star accommodation available. We like to live up to our last minute name so remember you can book any one of our excellent Seremban hotels up until midnight and stay the same night.